Use with virtually any existing diet program. The key to this app is in its simplicity. Create your plan by selecting FOOD GROUP portions for your daily consumption. 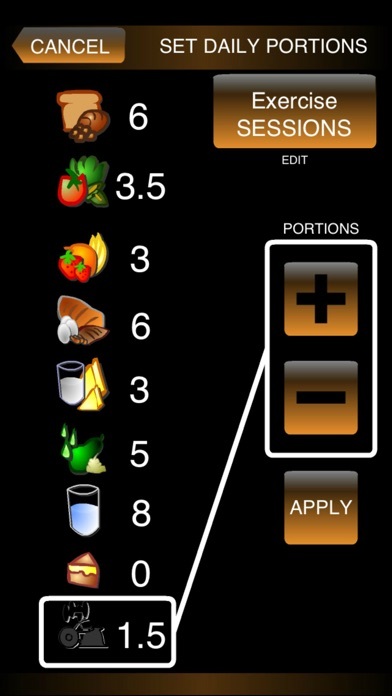 Keep in mind that the app will not tell you what a specific portion is. It is up to you to determine what these portions are according to the diet plan you are following. Consult your health care professional before starting any diet plan. 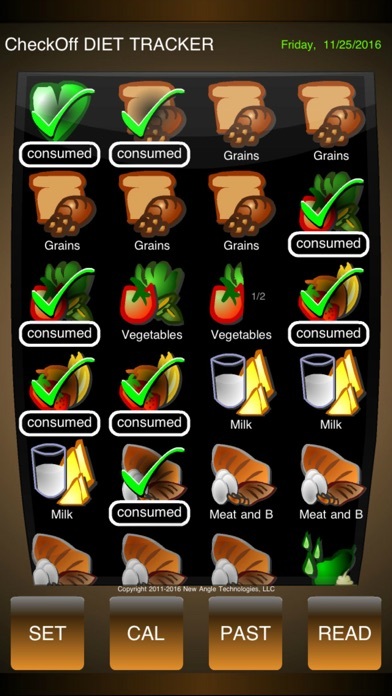 Select how many portions of each category for daily consumption. 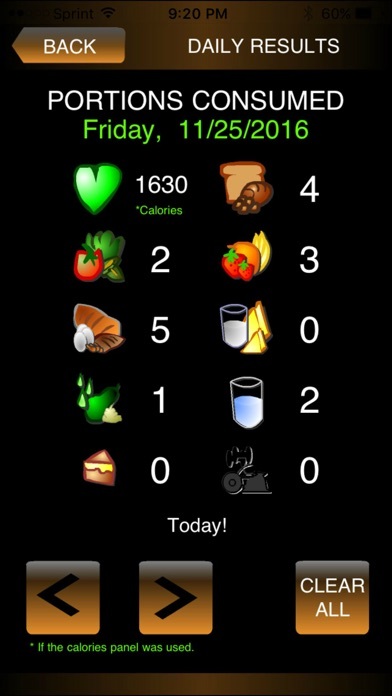 Icons represent each food group. For example if you have 5 portions of a food group to consume daily, then you will have 5 icons to check off and so forth for each group. + Create your food group portions daily plan. 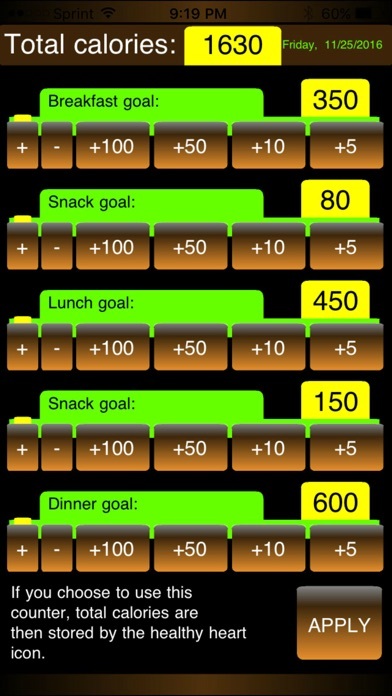 + Check portions off as you have them during the day. + Saves daily entries automatically. + Delete past entries and current portions settings*. Please enjoy life by having healthy habits. Cheers and good luck. * Makes the app run faster after many days of use. Warning: Past and current data will be removed from the app, you will have to manually reset your portions again. November 29, 2016 1) Update to 64 bit 2) Fixes calories not being recorded without selecting a portions. Increased sensitivity on check marks.